SANTA FE, N.M. — Fans of contemporary Western art packed Altermann’s Camino Del Monte Sol galleries on Saturday, August 13, eager for a crack at the collection of the late Robert M. Eagle. 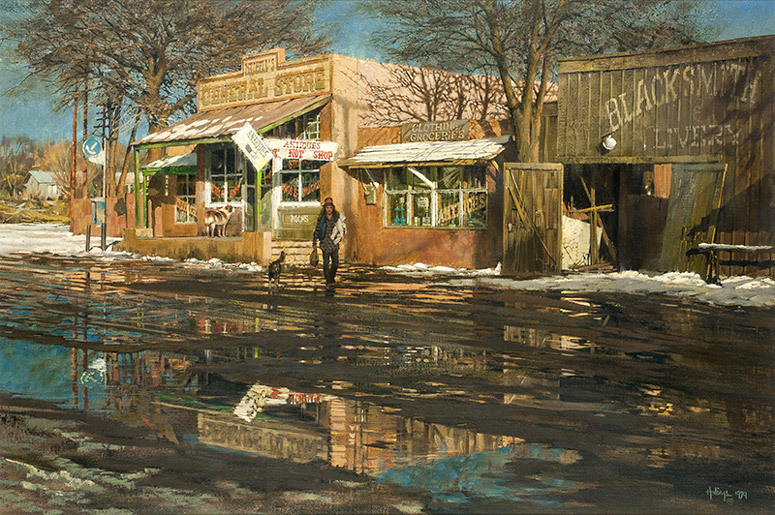 A determined phone bidder won “Old Town,” a view of the sleepy New Mexican town of Cerrillos in winter, for $96,000, including premium. 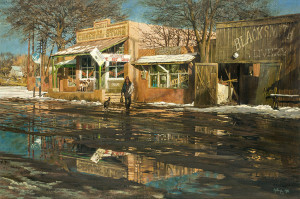 The oil by Western hall of fame artist Clark Hulings (1922–-2011) was a favorite of Eagle’s. Watch for a complete report on Altermann’s August 12–13 Santa Fe sale in an upcoming edition.